Amazing custom home with incredible privacy yet close to town. 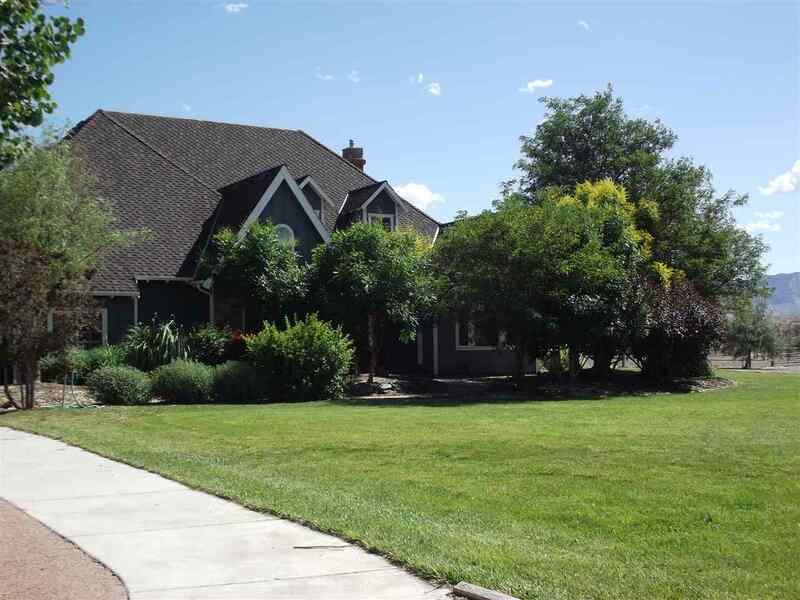 This home is set on 9.35 acres and includes a 4215 sq. ft. home, three car detached shop, barn, two large pastures, huge backyard, riding arena and views! The kitchen has been remodeled and includes a brand new 36" gas range, stainless steel appliances, granite countertops, large island and open floor plan with the dining and living areas. The flooring throughout the living area is Australian Eucalyptus. The master bedroom is huge with a gas fire place, walk-in closet and amazing bathroom. There is a bar (could be converted to formal living room) a sun room, a library and a covered deck for outdoor entertaining. The upstairs area is currently being used as a family room, but could be converted to a mother-in-law suite or second master bedroom. You have to see this house to appreciate all it has to offer - EVERYTHING!